Having already been in Moldova for a week, we continued waiting. Tuesday we were told that the documents would be ready on Thursday. So we continued doing what we had been doing. Fellow missionaries came to Moldova and it took three days to get their visas, so now we expected another three days once we got our documents. More school for the girls. More studying. More cooking. More shopping. More fellowship with other missionaries. Still no documents. On Saturday, we were told that the documents would be ready on Monday. On Sunday, after we had been there for two weeks, I told the same person, "I hope not to see you next week." She returned the salutation. One of my friends in Moldova thought that was the funniest thing he had ever heard. More waiting. Amazingly enough, we are not getting anxious yet, but are getting ready to go home. We have a team arriving from our church on November 26th, so we are beginning to wonder how close to that date we will be arriving in Ukraine. Our original plans were to go from Chisinau to Odessa, and then back to Krivoy Rog. Because we had plans to be in Kiev for Thanksgiving, we were also wondering whether we would make it or not and decided that it would be best to go straight to Kiev instead of going home first. On Wednesday, we heard that the documents were ready (finally!). I expected to go to the train station to get them on Thursday, but the government office did not release them until late Thursday. Once they were released, they were put on the train that leaves Kiev at 4:40 AM and arrives in Chisinau about 5:50 PM. Friday afternoon. I left about 4:30 PM to take public transportation to get to the train station. Unfortunately, the train station is about one block off the main road and not very well marked, so I missed it. When I realized that, I got off at the next stop and looked for an available taxi. The first one I found was busy, but the second one, waiting at a stoplight, was not. We arrived just 3 minutes before the train arrived. I was really starting to sweat before we got there. I got my documents without any problem and headed back to Buck's place. There was now visible light at the end of this tunnel. We enjoyed the weekend. On Sunday, after we had been there for three weeks, I told the same person, "I hope not to see you next week." On Monday morning, I arrived at the Ukrainian embassy just before 9 AM. Someone came to get us about 10 minutes later, and we all filed in to a small office where we told a lady at a desk why we were there and she wrote down our passport information. Because I was an American applying for a visa, the lady at the desk got up (had not done that for any of the 20 people ahead of me) and told me to follow her. She went to one window and told those people to move because I was next. That was just a bit uncomfortable, but I was glad for my turn at the window. The man working there was actually nice and very helpful. He processed our visa applications (a tedious and manual process) and sent me to the bank to pay for the visas. When I arrived at the bank (which was 3 or 4 blocks away), there were no less than 12 people in the small lobby waiting. I did not realize that I needed a specific window (which was a different line from the others). The man that helped facilitate the lines was not doing his job at the time. When he got me over to the right line, it seemed several people who arrived after me were going first, but I finally had my turn. I paid about $8 for the bank to handle my payment of nearly $1600 to the embassy. Then I had to get some additional copies, so I entered the building next door. One of the small shops in there had a Xerox machine. I paid about 50 cents for six copies and headed back to the embassy. Upon arrival, I rang the buzzer to announce my return. A lady came to let me in just a few minutes later. When I got to the area where the processing window was, the man working gave the stuff he was working on back to the person there and told them he needed to help me. I gave him the copies, the receipts from the bank, and our passports. He told me to return at 3 PM with my family. I had no idea why they needed to come, but we would be there. All of us arrived a few minutes before 3 PM and we waited for at least 10 minutes. The group of people waiting there were all let in and led to the small office where I had started that morning. We were told to go into a larger room and to wait while the lady there helped other people. After about 20 minutes, she called our name and gave me our four passports back - with our visas in them. I honestly expected Wednesday would be the earliest we would get them, so I was in shock (but very glad!) that we had them already. We left the embassy rejoicing and thanking God for His faithfulness and goodness. About 8:30 AM Tuesday, I headed to the train station to buy tickets to go to Kiev that night. With Thanksgiving on Thursday, we wanted to get to Kiev on Wednesday, if possible. I told Denise as I left that I was forgetting something, but had no idea what it could be. When I arrived at the train station about 45 minutes later, I got to the ticket window and learned that I had forgotten our passports. Because I do not need them for the train travel we do within Ukraine, I did not give them a second thought. When I returned home, my family asked if I had tickets. They were concerned when I told them "no" - at least until I told them why. When I arrived back at the train station again, this time with the passports, I was able to buy the tickets we needed. We would leave just after 8:30 PM and would arrive in Kiev about 1:40 PM Wednesday. It was after 11:30 AM before I arrived back home again. It had taken all morning just to buy four train tickets. We had made plans to go out to eat with a group of our friends for supper that evening before we left, so we were packed and ready to go by 5:30 PM. We enjoyed our farewell meal and headed to the train station. We settled into our coupe and started our journey back to Kiev. We were tired and wanted to sleep, but it was quite warm in the wagon. About 5 AM, we arrived at the Moldovan border check, which seemed to be a fairly smooth process. About 6 AM, we made it to the Ukrainian border check, which was more thorough. They had two dogs on our wagon sniffing things. The customs officer looked at my passport for a long time, asked a few questions, and finally stamped my passport. One of his cohorts wanted to know if we had any American coins (it seems he wanted a "gift"). We appeared to be the last ones to be processed, because moments after they left us, the train took off. I met a cute little boy that was two doors down from us. He was five years old and from Russia. He and his mother had also been visiting in Moldova. At first he wasn't sure what to think of me, but eventually he warmed up was talking with me and giggling. He told me the English names for some animals, counted to 8 in English, and showed me how to make something by folding paper. He explained to me how, then unfolded it and had me do it myself. He was quite the natural teacher. Then we played between our doors and in the hallway. When we left, he said "goodbye" in English. We finally arrived in Kiev about 1:40 PM on Tuesday, where we were met by a friend. We stayed in Kiev for Thanksgiving and really enjoyed celebrating with our missionary family. While I have many things to be thankful for, I am very thankful for our new visas and for being back in Ukraine. We had planned on being in Moldova for 8 days, not 24 days. One of our fellow missionaries commented about the resiliency we had demonstrated through the events we had been through. Thank God for His help and strength when things to not got as planned. We met the team from our church at the airport on Saturday afternoon and headed back to Krivoy Rog, arriving home about 10 PM on Saturday November 26th. We had been gone for about 90 minutes shy of four weeks and it was so good to be home. Through all that time, God continued to be faithful. While we did not know what God's timing would be, we knew that he would take care of us. That is just what He did. There were moments of frustration and some doubts, but I can raise that experience up as an Ebenezer because "Up to this point the Lord has helped us!" (see 1 Samuel 7, specifically verse 12 as well as the second verse of the hymn "Come, Thou Fount"). How about you? Do you recognize and thank God for his help even when things do not go as planned? Do you look back to that experience as a reminder of God's faithfulness? We must not forget the things that God has done for us! Let us continue to regularly count our many blessings! When I started writing this blog post, I decided to first take a detour and share about our experience last year (Part 1 and Part 2). Even as I wrote those blog posts, I did not expect most of the events that made up this years visa travel. Because this is mostly about the visa process, the November post of our update blog will have more information about what we did while we were in Moldova. In September of this year, the laws in Ukraine regarding visas changed completely, which results in a process that is very different. That also means there is a greater potential for more confusion with those administering the different parts of the process. The visas are more than twice as expensive than last year and we need to register within 45 days after we return to Ukraine. We are the first within our missions organization to leave Ukraine to get the new visas. Some of the best advice we have received in the last year is, "Blessed are the flexible, for they shall not break." We finished packing for our trip, I watched the Nebraska Cornhuskers beat Michigan State soundly, and then we left home about 11:45 PM. We waited inside the bus station for about 20 minutes, but were on the bus and headed towards Odessa by 12:40 am Sunday. The roads improved as we progressed farther from Krivoy Rog. There was some really thick fog and we seemed to be driving along quite slowly. We made one stop after about 3 hours that was supposed to be a 15 minute stop, but because of the time change (falling back one hour), we waited a little more than 45 minutes instead. During the trip, Hope slept most of the time, Denise and Laura slept part of the time, and I slept very little (which is quite normal). We arrived in Odessa about 6:45 AM (after the time change). That means we spent a total of over six hours on a bus trip to go 350 km or about 220 miles. Even on highways in Minnesota (not the freeway), I would expect to be able to do that in a little more than four hours. After I purchased bus tickets for the 8:20 AM bus, we waited inside the bus station (which was not much warmer than the outside temperature) and ate some of the food we brought with us for breakfast. We loaded onto a smaller passenger bus that was less than half full and started our journey to Chisinau, Moldova. It only takes about an hour to get to the border. It was a cloudy day and just above freezing outside, and the bus quickly became cold with the door open the whole time we sat and waited. Our bodies were warm enough, but our feet were cold. At the Ukrainian border, one man from the bus was called to the office, but returned after just a few minutes. We got our passports back and we were on our way again. The same drill was repeated on the Moldova side where things went quite smoothly. Moments later we had a quick pit stop, where we paid less than 20 cents each to use a squatty potty, and we were on our way again. Before long the sun was shining brightly. I kept trying to sleep on the bus, but could never get more than a couple minutes at a time. Whether it was the man in back who kept coughing, or the movement of the bus as we followed the curves of the road or tried to miss potholes, I finally decided to give up. We completed our nearly 200 km (about 125 miles) journey about 12:30 PM. In Chisinau, it was about 50 degrees and quite nice. Laura and I got off the bus before Denise and Hope. A man behind us saw my wallet, which had somehow fallen on my seat, and gave it to Denise. I am so grateful to God for his protection!! Because I wanted to save the hour long round trip marshrutka ride to get tickets at the bus station, I bought return bus tickets for November 7th. That should give us plenty of time to get our visas - or so I thought! We once again stayed with our friends, Wesley and Donna Buck. When we called to let them know we had arrived, Wesley came to pick us up. We always enjoy being with them, so it was fun to visit and catch up. However, I was so tired it was hard to be very good company and I finally excused myself and went to bed at 8:30 PM (which felt hours later to me). I did not even hear Denise come to bed later. I woke up one time during the night and saw she was there, and then got up about 7:30 AM feeling much better. My plan was to go to the Ukrainian embassy right away in the morning, so I got up and took a shower. When I checked my computer before I ate breakfast, I learned that my plans had changed. The documents we had with us were incorrect and we would need to get new ones sent to us. Honestly, my first response was "Oh, OK. No big deal." That, my friends, is not normal for me, but something that God has done in me. It was impossible to predict when the new documents will be ready, but that was not a concern. At that time, I wrote, "My job is to trust God and that is what I plan to do." So we waited. Our hosts are both teachers and they left 7:30 AM every day. Most days they returned home after 6 PM, so we had the place to ourselves most of the time. On Wednesday, we spent the day with our friends, the Stitt's. We enjoyed some delicious Moldovan food, visited a museum, and then watched a movie together. We left there and loaded on to a very crowded marshrutka to get back to the Buck's place. After we got off, Denise realized that her purse was unzipped. When we got inside the house, we discovered (as we had feared) that her wallet had been stolen (not her camera or iPod nano). They got about $50 worth of money, her driver's license, a credit card, a store card, medical insurance cards, and some photos. Not a big deal, just a hassle. We stopped her credit card immediately and will have friends bring a new one when they come later this month. It made me even more grateful that we still had mine and my wallet! On Friday, I went to the bus station to return the tickets, since we obviously would not be leaving on Monday. We also were told that the documents could be ready today or Monday. We lived a somewhat normal life while we waited. Denise cooked meals and baked (which the Buck's - and I - really appreciated). The girls did school. I studied Russian. We bought groceries. God really blessed me with a peace during the waiting. Normally, I would have been anxious and ready to move on. I do like being home, but I was real relaxed about all of this. It is just part of the process. On Sunday, after we had been there for one week, I said to a person I met, "I hope not to see you next week." And I honestly thought we would not. How about you? I am no one special, but I serve an extraordinary God. He has helped us so far and will not let us down. How do you respond when things do not go as planned? Keep trusting Him. He will never fail you. A few weeks ago, I saw an elderly couple coming out of their apartment. She was walking with two canes and slowly worked her way down the 3 or 4 steps out of the apartment (no ramp). Then she went over to take one of her husband's two canes from him. He had one full leg and one that was cut off a little above the knee. He worked his way down the steps with one cane while holding on to the rail. This was after what I already knew had taken place. They both had to walk down a half-flight of stairs inside the apartment building, because no apartment buildings here (that I have seen) have an elevator on the ground level. Wherever they were going, it was going to take them a long time to get there. I have to give them credit, because I would be tempted to stay home if it was that difficult for me to get out. Watching them reminded me of several things that I (and maybe you) have taken for granted. I am thankful that I can walk without any assistance. I do not need help getting out of bed or out of a chair. I can easily walk where I need to go. I can climb up and down stairs (though down is much easier). I can walk fast or slow (I prefer fast, and Denise often reminds me that we are not in a race). In fact, getting around is something that I seldom give much thought to. In the past, I have experienced problems with my hip when walking was very painful or times when I have sprained my foot that slowed me down, but I could still get around on my own. I do not need to be dependent on anyone or anything. I do not need a cane, walker, crutches, or wheelchair. In fact, I have never needed any of those things. Thank you, Lord, for blessing me with health and the ability walk. I am thankful that my wife and daughters can walk without assistance. They do not need help or suport to get around. They can climb up and down stairs. They can walk. When Denise had her lower back issues several years ago, it was painful to do everything. Those times remind us how grateful we are for health. Thank you, Lord, for blessing my family with the ability to walk. I am thankful for American handicapped accessibility standards. Living overseas and watching other people (like this older couple I saw), helps you realize how much easier it is to live in America. Most apartment buildings in America have either no stairs or a ramp to get to the entrance. When they have an elevator, it is on the ground floor. A person in a wheelchair could roll in to the elevator completely unassisted. That will not happen most places in this part of the world. Thank you, Lord, for the blessing of rules that make it easier to get around for everyone. I am thankful that we had two minivans when we lived in America. We could easily get in a car and drive where ever we needed to go. If the weather was bad, we could walk into the attached garage, open the door with a button, drive out, and close the garage door with a button. All that without being in the elements. 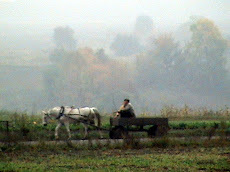 Most people around us in Ukraine do not have cars and have to walk or ride public transportation. In fact, we have been without a vehicle for this term in Ukraine - and have survived! That means walking to the bus stop in all kinds of weather or daylight. For some people, it is difficult to climb the steps into the marshrutka or bus. Whatever you buy when you are out, you need to carry home with you or hire a taxi to drive you home. Thank you, Lord, for the blessing of owning a vehicle. These are just a few of my many blessings, which are too numerous to count. Lord, thank you for blessing me in so many ways! How about you? Maybe you cannot be thankful for all these things, but you have many other things to be thankful for, just like me! There are several easy ways for you to follow my blog. They are listed on the right hand side of the blog page below the WELCOME section. Enter your e-mail address in the "FOLLOW BY EMAIL" field, then click "SUBMIT". Complete the required field and submit that form, then follow the directions in the validation e-mail. Then every time I publish a post, you will receive an e-mail with the new post. Copy and paste the blue text into your RSS or ATOM reader. If you use Microsoft Outlook, open Account Settings, select the RSS Feeds tab, and choose new. Copy and paste the blue text, then click "Add." Follow the other prompts to finish adding the feed. Then everytime I publish a post, you will have the new post in your feed reader or Outlook. If you are a Google user and are signed in, you can choose to follow my blog with your Google account. Simply click the "Join this Site" button and choose whether to follow my blog privately or publicly, then click "Follow This Blog." If you would like to print so you can read or share a post, just click the "Print PDF" button that appears at the bottom of every post. Follow the directions on the next screen. It is just that simple! Let me know if you have any problems and I will see what I can do to help you out. Or if you know of other ways to follow a blog, share them with me. I hope you enjoy reading my blog posts as much as I enjoy writing them. Blessings! While we were waiting in Moldova for our letter of invitation that we needed for our visas, we enjoyed being able to attend International Christian Fellowship for a service. The man who preached has been a missionary to Moldova for 19 years and has started working in Malawi, Africa as well. His message was about Jesus being the "I Am" for whatever we need. One sentence really struck me - "Moses was content to tend sheep in the wilderness even though he had been trained to be a prince." Think about it. Moses was blessed to be raised as a prince. He was comfortable. After Moses murdered the Egyptian, he had to flee from Egypt, where he became a shepherd. The time as a prince was not wasted, but was part of the preparation for what lay ahead for Moses. God had a plan. Moses was comfortable being a shepherd. After God spoke to Moses in the burning bush, he became the leader of the Israelites until he died. That was God's plan for Moses. The time as a prince or shepherd was not wasted, but was part of the preparation for what lay ahead for Moses. God had a plan. It took something to get the attention of Moses to help him make the change to follow the next step in God's plan. I can relate to Moses. I had worked at a company for more than seven years and enjoyed my job very much. I was comfortable. One day, I realized that God speaking to me about a possible career change. Having more questions than answers, I sent out one resume, got the job, and we moved within three months. During that time, circumstances in my job changed for the worse and I understood why God had been getting my attention. The time working there was not wasted, but was part of the preparation for what lay ahead for me. God had a plan. I worked for more than 13 years for the other company. Those were some of the best years of my career. I loved what I did and was comfortable with it, planning to retire working there. We had purchased what we hoped would be our retirement home. I was comfortable. But God had other ideas and rattled my world with a short-term trip to Ukraine. 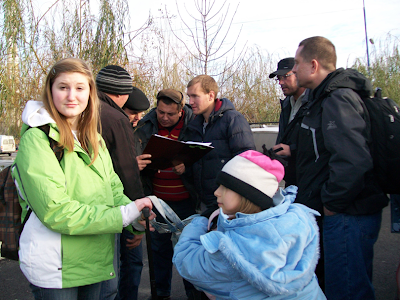 Last year, we moved to Ukraine to be missionaries. At this point, this is God's plan for my life. The time working there was not wasted, but was part of the preparation for what lay ahead for me. What does the future hold? We plan to return to Ukraine for another term. Beyond that, I have no idea what the future brings. But I do know this - God has a plan and He will guide prepare me so that I am ready for the next step, whatever it is! The other thought I had about that statement was this - is it better to do things my way or God's way? God's way, of course. When it comes to daily life, we continually need to make that choice. 2 Timothy 1:7 (NLT) says "For God has not given us a spirit of fear and timidity, but of power, love, and self-discipline." How often do we choose to live in fear, instead of chosing what God has for us? Philippians 4:6 (NLT) says "Don’t worry about anything; instead, pray about everything. Tell God what you need, and thank him for all he has done." How often do we choose to worry, instead of choosing to pray and trust God. 1 Thessalonians 5:15 (NLT) says "Be thankful in all circumstances, for this is God’s will for you who belong to Christ Jesus." How often do we choose to grumble and complain, instead of finding something to be thankful for in our current circumstance? Whether it's our daily life or our career direction, God has a plan and a purpose for each of our lives. As sons and daughters of the King of Kings, we need to learn to live how God wants us to live and be who God wants us to be. We need to spend time reading the Bible and praying if we are not sure what that is. How about you? Are you shepherding when God wants you to be doing something else? Today's food for thought...from a sampler eBook (for just one month instead of for the whole year) that I picked up free from Amazon.com. A willing heart to say “Yes” to what You will." Bjorklund, Kurt (2011-08-16). Prayers for Today Sampler: A Yearlong Journey of Contemplative Prayer (Kindle Locations 569-574). Moody Publishers. Kindle Edition. 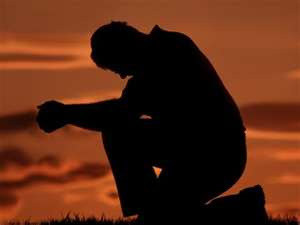 "Lord, give me I pray:"
I already discussed the title "Lord" in my last blog (Food for Thought - 3). Please remember that prayer is not just asking God for things for ourselves. That is only one small portion of what our prayers should be. (If you are interested in learning more about prayer, check out my cousin Kevin's ministry, blog, and book here.) Rather than being a complete prayer, this would simply be part of a larger prayer. By asking God for things for ourselves, we are confessing our need of his help. He is our source and the only one who can truly meet our needs and give us what we need. It does not matter who signs our paycheck, God is our source. Sometimes we forget that. Sometimes we only ask God to meet the large, pressing needs that we have now, but God wants to help is in the smaller things as well. Lord, help me to realize that you are my source and will supply all my needs. "A remembering heart for the things that have happened;"
Remember how God told the Israelites to continue retelling all God did for them? That is because he knew that they would forget them if they stopped telling about them. And their children, their children's children, and their children's children's children, from generation to generation, needed to remember what God had done for their ancestors. When we hear what God has done in the past, it gives us faith to believe that He can do something similar for us in the future. It is very important for us to remember what God has done for us so that we can encourage the people around us with what God did in our lives. When Denise and I had a miscarriage (our only pregnancy) on Easter Sunday 1992, we found encouragement through the many friends who shared from their similar experiences. Lord, help me to remember. "An attentive heart to what I have heard;"
Are you guilty of listening but not really hearing what someone is telling you? I am. But we would never do that to God, would we? I do not know about you, but I have. Do I pay attention when I read my Bible every day so that I am actually "hearing" what God is saying to me? When I am at church, do I listen attentively to what is being preached, or am I thinking about our plans after church is done? Throughout the day, God may speak to us in various ways. Are we listening? Lord, help me to be attentive to hear what you want to say to me. "A forgiving heart for what has hurt;"
You do not have to go very far in life before you are hurt by someone. How we handle that hurt affects us. If we forgive, then we are free to move on. But if we hold on to the hurt, we limit God's ability to work in our life. The Lord's Prayer includes the phrase "forgive us our trespasses as we forgive those who trespass against us." If I cananot forgive someone (including myself), it begins to color everything I see around me and can affect my relationships with everyone, especially my family. Lack of forgivess leads to hate, bitterness, and anger. It is like drinking poison and expecting it to hurt the other person. It is also like holding broken glass in your hand, the tighter you sqeeze your hand, the more the glass cuts and hurts you. The other person may or may not know what they did to hurt you. But you are, as we tell our daughters, responsible for your behavior. Lord, help me to forgive like you forgave. "A grateful heart for what has blessed;"
November is when we celebrate Thanksgiving in America. Many of my friends are daily posting something on Facebook that they are thankful for. It is interesting to read or to hear what people are grateful for. Sometimes I agree right away and, other times, I realize that I never quite thought of it that way before. It is important to develop an attitude of gratitude. We are truly blessed. Remember the "glad game" from the movie "Pollyanna"? Before he died, her Dad taught her to always look for something to be glad for in every circumstance. Even now, as we are in Moldova waiting for documents to apply for our visa, I am grateful for God's blessing and help. Lord, help me to be more grateful for whatever circumstance I find myself in. "A brave heart for what may be required;"
There are times in life that we face difficult circumstances or situations that require courage. Remember the cowardly lion in "The Wizard of Oz"? He was not brave, though he pretended to be. When we are afraid, we need to find someone that we tell them about those fears. In doing so, we will find courage to face our fears. It does not matter what we have ahead. Maybe you face a meeting with someone or a test for school or work. Maybe there is sickness in the family or you are facing death or are in the valley after a death in the family. Maybe you face a significant job change or there are changes in the family. Joshua 1:9 was one of my Mother's favorite verses and she believed it to the last day of her life. "This is my command—be strong and courageous! Do not be afraid or discouraged. For the Lord your God is with you wherever you go." (NLT) Lord, help me to be courageous in your strength for what I am going through now or will go through in the future. "An open heart to all that may come;"
When God asks us to do something, how do we respond? Do we say, "Yes, Lord!"? I must admit that sometimes I answer God just like my kids answer me. "Why?" "Just a minute." "Do I have to?" "Not now, Lord." Or I act like I did not hear him. We should respond as a servant, doing what the master asks of us. Remember that Paul was a servant of the Lord Jesus Christ. We are certainly no better than Paul. Only God has the perfect plan and purpose for our lives. Sometimes we think that it is just the big things that we need to be open to. But it is usually the little things that trip us up because they get in the way of our own daily plans. Lord, help me to be open to what you have for me. "A trusting heart to go forth with You"
If God calls us, He is going to go with us. Remember Joshua 1:9 that I referenced above. "The Lord your God is with you wherever you go." When Denise and I decided to follow God's call to missions, we both knew that without His help, we would surely fail. At the same time, I had learned to trust God and knew that He would go with us. You know what? He has done just that. He is always faithful. Lord, help me to always trust you. "A loving heart for You and all Your creation;"
Until I learn to love like God loves, I have more to learn about love. Jesus gave His life because of His great love for us. Do you realize that people around you (not just in Ukraine or, as a Ukrainian woman said to me, "I thought that missionaries only went to Africa") are dying without knowing Jesus as their personal savior? What are you doing about it? People in your circle of influence need to hear it from you. If God speaks to your heart, you need to give to those who are doing something to reach those people that you cannot reach (like our family). There are needs all over the world. Remember that showing someone love is a great way to share God's love with them. Lord, help me to love like you love. "A longing heart for the reconciliation of all things;"
There are many things in today's world that need to be reconciled, or brought back together, but I am going to focus on just one thing. We all need to be reconciled to God. That is why God sent His Son Jesus to earth. He lived a perfect life and paid the price to ransom (buy us back) from our sin so that we can be made right with God. This was not just provided to a few people, but is a free give that is available to everyone. Lord, help me to long to see people in my life reconciled to you. "A willing heart to say “Yes” to what You will." This is the bottom line. I can remember what God has done for me. I can be attentive to what God speaks to me. I can forgive the hurts of my past. I can be grateful for everything I have and everything that God has done for me. I can be brave enough to do what God calls me to. I can be open to what God has for me. I can trust that God will be with me. I can love the people around me. I can even long to see them reconciled to God. But if I am not willing, all those things are meaningless. We need to say "I am willing to be, to do, or to go - whatever you ask." I love the phrase of the song "Yes, Lord" recorded by "The National Christian Choir" several years ago - "Yes is the answer, what's your question gonna be?" Lord, help me to be willing to do what you ask. How about you? Do you, like me, need God's help in these areas? Maybe we do not get the help we need because we have not asked. Because we needed our letter of invitation authorized in Kiev and we live so far from Kiev, we thought it would be easier to have someone in Kiev provide the letter for us rather than our local church this time around. When the document was completed and authorized in Kiev, it was sent to us on the train (this is a fairly common and fast method of delivery here rather than sending things through the mail). Because we had a team from our home church in Minnesota arriving in Kiev on November 12th, we had just enough time to go to Moldova for a week before they came. We headed to the train station in the late afternoon of Thursday November 4th. That night it was very warm inside and the sleeper train was more like a "sleepless" train for some of us (as one of our missionary friends calls them). After 13 hours on the train, we arrived in Odessa about 6:30 AM. Because we knew where we wanted to go, we caught a taxi to the main bus station, bought tickets, and left for Chisinau, Moldova at 7:20 AM. The large van was very crowded and had very little leg room. This was going to be a long 6 hours, but so far it had gone better than our first time in Odessa when we could not find the bus station! We got to the Ukrainian border about an hour later. Passport control came on the bus to get each of our passports, then took them inside to stamp them. It was not very long until the bus driver came to get Denise and I. It turns out that we had been in the country more than 90 days out of the last 180 days without a visa. We knew this, but did not think it would be much of a problem. It did not matter that we tried and failed several months ago, we are now "illegal" and we were told several times that we needed to have a "protocol" written against us. We never did figure out what that meant. One scenario was that we would not be allowed back into Ukraine for 3 months. That was obviously not a good option. A better scenario was to stay in Ukraine and pay a fine (that changes our "illegal" stay into a "legal" one, and then try to go to Moldova to get our visas at a future date). That sounded like the best option to us, especially with the bus driver wanting to keep "on schedule" and us not wanting to have any issues getting back into the country. In those situations you can second guess yourself, but it seemed best at the time to play it safe. Needless to say, we did not get a refund of the unused portion of our bus fare. After we got all of our things off the vehicle (we have to think the others were glad to have a little more space, though Ukrainians need much less personal space than Americans) and waited to catch a vehicle that had room for us going back to Odessa. We called a friend in Ukraine to have her send an e-mail to our missionary friends in Moldova to let them know that we were not going to be coming this week. Soon we were back in Odessa trying to determine options for getting home. Rather than waiting for the 10:40 PM train (that would get us into Krivoy Rog about 11:30 AM the next day), we decided to take a six-hour bus ride (leaving Odessa at 2 PM). In spite of our situation, we enjoyed the warm, beautiful November day while waiting outside the train station (because there was more room to wait than at the nearby bus station). Laura and I walked to McDonald's to bring back lunch for everyone. The passenger bus we boarded for home had plenty of space, but no air conditioning and no windows to open. It was so miserably hot, it almost felt like we were being further tormented after our failed border crossing earlier in the day. When we got home that evening, we were "glad" to be home and out of the hot bus, but so very disappointed that we were not in Moldova getting our visas and visiting our missionary friends. After our documents that we needed (to prove that we had paid our fine for being in the country more than 90 days out of 180 days) were released by the courts and I picked them up on the train, we were ready for our next trip to get our visas. 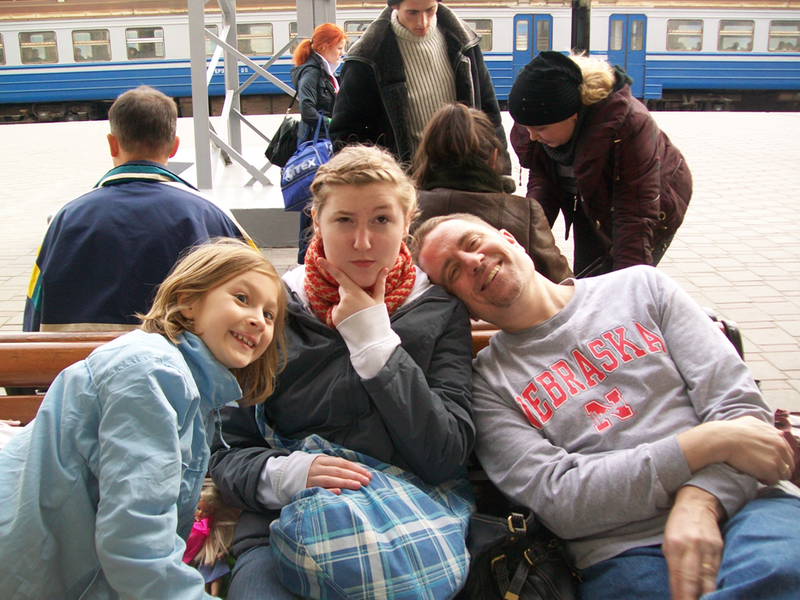 Monday evening, December 6th, found us on board the train to Odessa once again. When we arrived there at 6:30 the next morning, we walked to the bus station close to the train station, purchased bus tickets to Chisinau, Moldova, then waited for our departure time. This part of the trip is getting to be so routine (thankfully - in some ways anyway). This time our border crossing was smooth and we had no issues at all. After reaching Chisinau, we looked for a taxi to take us to the where we would be staying (with Wesley and Donna Buck again). None of the taxi drivers recognized their address, so a group of them got out a map and tried to figure it out. I made a call to help them out (with my newly purchased Moldovan mobile phone card). They finally figured it out and one of the drivers took us to their apartment. This time, we knew we had arrived at the right place. On Wednesday morning, I headed to the Ukrainian embassy to apply for our religious visas. I was very disappointed to see the same lady who turned me away in August, sitting at my window. Thank God, this time everything was in order and I was told to return later that afternoon, after going to a bank to pay for the visas. When I picked up our passports, each of them had a new visa in them. At last, we had what we came for! We enjoyed a few more days visiting friends, then headed home on Monday evening. This time we took a bus that left Chisinau, Moldova about 8:30 PM and arrived in Krivoy Rog, Ukraine about 6:30 AM Tuesday morning. The drawback is that this goes through the region of Moldova run by the rebels. At one border of theirs, one officer had a speech he gave at the front of the bus (where we were sitting). Because it was in Russian, we mostly heard "blah blah dollars blah blah dollars blah blah." Then he asked if I understood, knowing that I did not, and kept right on going (thankfully). You have to fill out a document (except for kids) when you go into this region, then they "process" you before you get to the Ukrainian border. I did get called to the office because I did not fill out a form for Laura. It seems that 16-year olds are not kids. I ended up paying a $5 fine and filling out the document for her. The officer even asked if I wanted a receipt. No, thanks. I actually found the whole experience rather amusing. Other than that, the ride home was long, mostly sleepless, and uneventful. We probably will not be going that route in the future. After three tries, we finally got the visas that we came for. In some ways, the first two trips were failures and the third was the only successful one. While the process was challenging, I do not believe that any of the trips were failures. The first one I wrote about in my part 1 blog post. The second one was an opportunity for us to trust God in the difficult times. We got turned back at the border, it really is not the end of the world. If it is God's will that you serve in Ukraine, should the process have been easy? Not the way I read the Bible. The Bible does not promise an easy life just because we are doing what God has called us to do. In fact, God has promised that, while we will have trouble in this world, He will not leave us alone. God is not afraid of our questions, but He has not promised to answer every question we have here on earth. Why did we have to take the extra time and money to make three trips? I do not know, but I am confident that whatever it was fit into God's plan for my life. That is enough for me right now. How about you? Are you trusting God through the challenging times? God will make a way where there seems to be no way, but in His time.